Moose Lake is in a region rich with history. Native Americans first occupying the area used The Old Indian Trail, which joined the Mille Lacs Trail near Moose Lake. 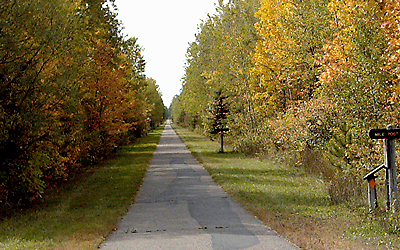 The Military Road, between St. Paul and Duluth, came through in 1856, passing 4 miles west of the present town. Railroads brought more people and business to the area. Built along a glacial valley between St. Paul, and Duluth, the Northern Pacific Railroad was completed in 1870, and Moose Lake grew along the rail line and the shores of Moosehead Lake. The village was incorporated on February 15, 1889. At the turn of the century, farmers came into the area as logging was winding down. The railroads, needing more business, advertised in Europe for farmers to buy land from their government land grants. With the farmers came stores, lawyers and the livestock business. Then dairy farming soon became the main industry. With the decline of the railroads, a growing tourism industry was soon attracted to the area's lakes and rivers and yet another industry was born. A progressive leader in rural health care, Mercy Hospital and Health Care Center provides high quality and compassionate medical care to Moose Lake and east central Minnesota. Moose Lake has opened its Family Center with offices for local human services and community education administration. There's also a modern Emergency Response Center and a newer community and civic center. The Moose Lake school district consists of an elementary, middle and high school. Higher educational needs in the area are served by Lake Superior College, the University of Wisconsin-Superior, the University of Minnesota-Duluth, Wisconsin Indianhead Technical College, Century Community and Technical College and others. Moose Lake has something for everyone with four seasons of activity. Whether you're enjoying our trails, waterways, parks or a weekend getaway from the fast-paced world, you will always find something in Moose Lake Minnesota. 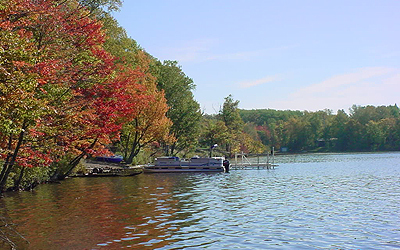 Mother Nature has provided us an abundance of splendor from waterways for fishing, swimming, boating, canoeing, skiing, snorkeling and tubing to trails for snowmobiling, 4-wheeling, biking, hiking, roller blading, cross country skiing, motorcycling or a just a quiet stroll. There are berries, wild rice and an abundance of agates. The woodlands support deer, bear, grouse, waterfowl and pheasant. Golfing for the enthusiast can also be found.